Today is Spring Begins. 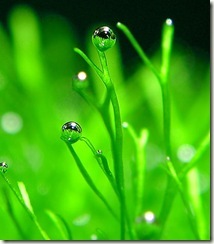 It’s not only “The beginning of spring”, and has great significance for 4 Pillars of Destiny. In 4 Pillars of Destiny, Spring Begins is a one-year cut-off point. It will usually be accurate to the minute. Even a pair of twins, if one born before the Spring Begins, one born after the Spring Begins, there will be an entirely different fate. Not just 4 Pillars of Destiny, in the vast majority of Chinese astrology, the Spring Begins are so important.The reason that the "vast majority", because the majority of astrology are based on the sun as the core. From the calendar view, is the solar calendar.But there are also a few astrology is based on the moon as the core, is the lunar calendar. Zi Wei Dou Shu (Purple Star Astrology) is a typical lunar calendar astrology.Its annual cut-off point in the first day of lunar January.The run cycle of the sun it is not important. Purple Star Astrology and 4 Pillars of Destiny are the most popular factions of Chinese astrology. Relatively speaking, 4 Pillars of Destiny be widely known by the people. For Westerners, it is that. Even for Chinese too. Chinese name each year with an animal, which is the animal sigh system. All of this are from 4 Pillars of Destiny. The 4 Pillars of Destiny is based on yin and yang, five elements. Purple Star Astrology is based on the relationship between these stars. It is closer to Western Astrology system. It is said that Purple Star Astrology even has some roots with Western astrology. 4 Pillars of Destiny use 8 Chinese characters to draw birth chart, so it also be named “eight words” in Chinese. Purple Star Astrology use 108 stars to draw birth chart. Westerners to understand it more easily. 4 Pillars of Destiny is based on the operating cycle of the sun, it is solar astrology. Purple Star Astrology is based on the operating cycle of the moon, it is lunar astrology. 4 Pillars of Destiny can more accurate show a particular year of luck, Purple Star Astrology can more accurate show a person’s personality, talents. A good astrologer should combine both analysis. The following is a birth chart of Purple Star Astrology in English. The following is a complete birth chart. Middle region is birth chart of 4 Pillars of Destiny. Outside region is birth chart of 12 Palace of Purple Star Astrology. Steve Jobs Is Gone, What Is His Destiny? On October 5, 2011, Jobs died in California at age 56, everything came so suddenly. 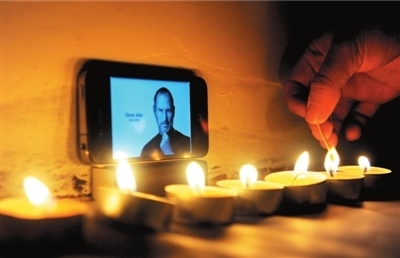 Even in China, Steve Jobs also has a high visibility, many people are mourning him. Me too! What is his destiny? Because only know his birthday, don’t know his exact time of birth. I can only to analyze his destiny by 4 Pillars of Destiny (Ba Zi), can’t use Purple Star Astrology. His 4 Pillars are YiWei (Year), WuYing (Month), BingChen(Day), no Hour. He is Yang fire, at age 56, the Yang water hurt him, and the Yang gold assault wood again. This year, Yin gold assault the wood of year pillar. All the woods are harmed, water is the most powerful. His fire was finally extinguished, a genius left us! What Kind of Articles Do You Want to See? I am a Chinese astrologer, living in mainland China. I am learning Chinese astrology when I was a child. I master I Ching, Purple Star Astrology (Zi Wei Dou Shu, or ZiWei Astrology), 4 Pillars of Destiny (Ba Zi), Da Liu Ren, etc. I will write some articles about Chinese astrology, and some instance of my clients. Why can predict? How to predict? 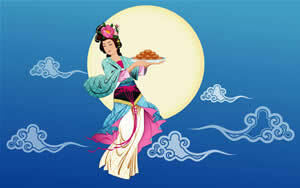 Today is Mid-Autumn Festival of China. The Mid-Autumn Festival is held on the 15th day of the eighth month in the Chinese calendar, which is in September or early October in the Gregorian calendar. It is a date that parallels the autumnal equinox of the solar calendar, when the moon is at its fullest and roundest. Mid-Autumn Festival has a special meaning in Purple Star Astrology(Zi Wei Dou Shu), because it is based on lunar cycle as the core system. If moon in your Ming place, and you were born in the Mid-Autumn Festival, The moon will bring you good luck. Because the power of the moon is the strongest on this day. I recently went to Beijing to revisit some old friends, left Beijing has been 7 years. April, Beijing is still flying poplar catkins. While in Beijing, lived in a small village next to Ding Imperial Tomb. Can see mountains every day and listen to the birds, enjoy the unique rural scenery. 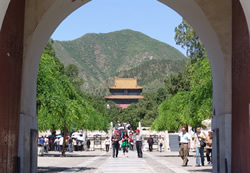 As the royal tomb of the Ming Dynasty, the place is very good in feng shui, surrounded by mountains. March 2009, the webmaster of a website to find me, he has a website domain name was stolen, and asked if he could retrieve the domain name. He was very anxious because the site he spent a lot of energy, there are many loyal customers every day, more than 20,000 users. If the domain can not get it back, it means several years of effort may be wasted. The thieves from the west. Domain names can be recovered, do not worry. Godaddy, the domain name registration company will support your complaint. 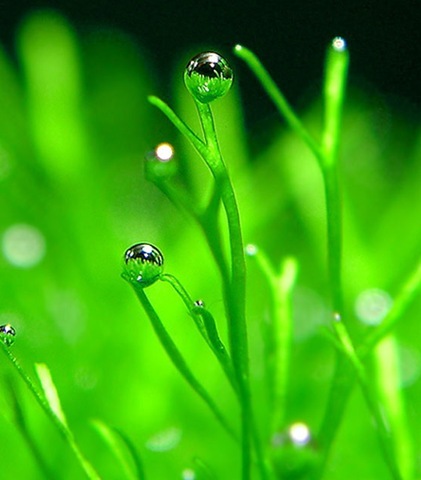 Judging from the I Ching, Godaddy will help you recover the domain name. Therefore, to quickly contact Godaddy. You can get the domain name back before May. He said, some other IP tried to crack his login password, Godaddy discovered this situation, locked his account and sent a e-mail to him. He had to unlock (but not taken seriously enough, did not change the password). The next day, Godaddy sent e-mail, saying DOMAIN OWNERSHIP TRANSFER. Now check on the current holder of the domain name registered address is Turkey, He has sent an email to this person. A telephone called to godaddy at the afternoon of March 16, also send a e-mail to Godaddy, and now have to wait for their technical survey. April 9, he feedback that domain name has been looking back through Godaddy. This divination, except for some details, the most critical is whether can recover domain name. How the forecast it? Because the I Ching show the Black Snake (God of the Northern sky, of Taoism. 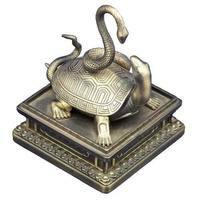 seven of the lunar mansions in the Northern sky, a kind of combination of Tortoise and Snake) in the sun. Black Snake represents the thieves, dark, cheating and other things. Now thieves in the sun, indicates that he will be arrested. Forget cosmetic surgery. The ancient treatment of acupuncture is gaining new popularity as a beauty secret in Japan about 1,500 years after it first came there from China. As aesthetic sessions increasingly go organic or employ traditional remedies, women at the “Beauty World Japan” exhibition this week lined up to try acupuncture, long known for its health advantages. 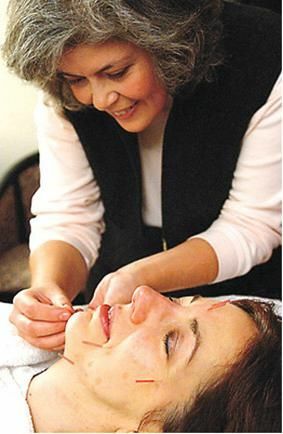 Inserting tiny needles into faces, boosts natural facial healing powers, says therapist Takeshi Kitagawa. Yesterday was the winter solstice, while modern society no longer maintain many ancient customs, but some of my friends still go to dinner with their parents. In chinese astrology, the winter solstice is a very important turning point, from this day, Yang began to grow, Yin gradually decline. When the winter solstice, 4 Pillars of Destiny and Da Liu Ren’s horoscope must change, but the Purple Star Astrology birth chart is not affected, because it is based on the moon as the core of the horoscope system. The style of the old site has been used for many years. Now, I changed the whole site for the new version. In addition to software, I’ll write more about the I Ching, Feng Shui, Purple Star Astrology (zi wei dou shu), and 4 Pillars of Destiny (ba zi) articles. And, I will develop more software for chinese astrology, if you have any needs and views, please email me. on the right side of this website, you can subscribe to my RSS feed, or subscribe via email, timely access to the latest information. Ho Thian Chye on What Kind of Articles Do You Want to See? steve jobs conspiracy on Steve Jobs Is Gone, What Is His Destiny?